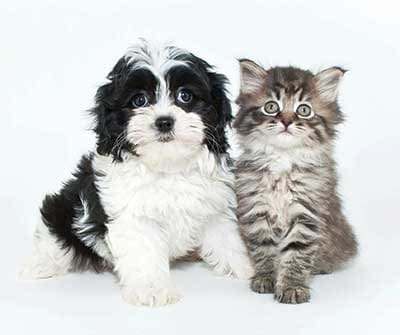 At The Encore at Laurel Ridge, your friends are our friends – including the furry ones! We offer pet friendly 2 & 3-bedroom townhomes for rent in Harrisburg, PA. Our floor plans are spacious, offering a generous amount of room for you and your cat or dog to relax peacefully. We feature manicured landscaping and open grounds for you to enjoy with your pet, as well. Nearby there is dog friendly creek access on Boat House Rd. There are also several great parks close to The Encore for you and your pet to explore. Check out Blue Mountain Park, Hocker Park, or Boyd Big Tree Preserve Conservation Area. Veterinary care is readily available in the Linglestown area as Noah’s Ark Veterinary Center and Lockwillow Avenue Animal Clinic are nearby. For pet supplies or training assistance, Petco is located in the Colonial Commons shopping center of Paxtonia. The perfect home for your family is only a phone call away. Contact the leasing office at The Encore at Laurel Ridge today.